Some time back me and No More Waffles had a little discussion in the comments section of one of his posts. Part of this was about our thoughts on pooled investment vehicles like exchange traded funds (ETF) and Investment Trusts (IT). In particular, it was about their place in our portfolios in the (far) future. Currently both me and NMW are in our 20s. As it stands, my current plan for now is for most--but not all--of my investments to be in individual stocks. I do hold a few ETFs and may add a couple of ITs in time but most would be individual companies. However, as I get older and retirement approaches I plan to shift my strategy a little. Chiefly, this shift would see more of my investment cash going into ETFs, Investment Trusts and the like. The discussion made me realise I had not really planned it very much. As such, I thought it may be useful to write up my plans--as they stand--to see what you all think. What are your plans? What do you make of my tentative scheme? Why Consider Changing My Plan in the First Place? First, let's take a look at three reasons why I think my pooled investment allocation should grow over time. This is a prominent consideration. By being pooled funds both ETFs and ITs tend to be less volatile than a single company stock. So £1000 invested in a single company will tend to fluctuate in price a lot more than £1,000 in a single IT, for instance. This is one consideration. But also, the yield is less volatile in many cases. With regards investment trusts, they often have very impressive dividend records as in lean years they can fall back on debt to fund modest increases. In retirement this is particularly important as I will--inevitably--have less time to ride any severe volatility out. What is more, if I am largely living off my dividends then a more predictable income stream is massively important. An important consideration is simplicity for me. As I get older, I know that health could threaten my ability to keep command of my investment portfolio. I don't know how many different companies I will be invested in by the time I enter my mid-60s or 70s. However, it is quite possible it will be very large. I do plan to keep a lid on a too large portfolio, but I think that is--in some regards--easier said than done. Now whilst I am still compos mentis and in rude physical health this may be fine. But you should not take health for granted. Preparing for any misfortune is worthwhile. In recent months my grandparents have revealed how important this is. Sadly, my grandmother died in the summer after another heart attack. For over a year she was in a nursing home which, of course, costs a lot of money. Similarly, my grandfather has Alzheimer's Disease. From being able to confidently micromanage his everyday affairs he is slowly losing that ability. Simplifying my portfolio before any such misfortunes befell me would thus be a wise precaution. Holding most of my investments in, say, 15 to 20 investment trusts as opposed to 50 or so different companies seems far more logical indeed. An extension of this is the simplicity for my family. I don't know that my (unborn) children will be as able or interested in investing as me. As such, being able to leave a simplified portfolio of investments make sense. As such, to quote DIY Income Investor who has similar concerns, my "objective is to pass on investment nest eggs that more-or-less manage themselves." If I can achieve this I think both my family and I would agree that would be a "win." Shifting my Portfolio to "Retirement Gear"
So how could I bring about this transformation? Clearly, just selling up, say, half of my portfolio at 65 and plonking it in investment trusts is not really the best idea. A slow evolution in my investment plan would be much better. But what should it be? One scheme would be to increase the percentage composition of my portfolio with pooled investment each decade according to my age. For example, from my 20s until 50s look to grow it 5% per decade. However, from my 60s to ramp this up to 10% growth per decade. That does not quite satisfy me, though. I think that if I am lucky enough to live to my 80s or 90s I would much rather have a far lower proportion of my investments in individual stocks. I think this all looks rather solid as a long term (evolving plan). It is simple but achieves what I want it to do. Having a majority of my portfolio in pooled investments by my mid-70s seems logical, achievable and responsible. As it stands, with my current portfolio value (including ETFs) at around £23,100 and my ETFs making up about £1,100 this would mean I am currently about on schedule (i.e. that would make ETFs about 4.8% of my portfolio). It is purely coincidental that it is so, but maybe it suggests that subconsciously I was working to this plan in the first place! Of course, all of us have investing strategies which are--or, at least, should be--constantly evolving. It may be that I enjoy investing so much and find enough time to give it the due dedication for a higher proportion of individual stocks right up to my 60s. In this case, a slower growth pre-60s could be accelerated even faster after I hit that milestone. All in all, I really don't know what the future holds and whether such a scheme has a place. But as it stands, I think my second, greatly staggered proposal seems to be a good "working" plan. What do you think? 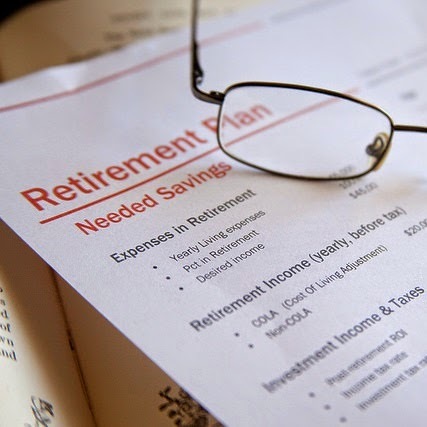 Do you have plans to change your strategy as you approach retirement? Do you think you will still maintain a chiefly individual dividend stock portfolio? I will be fascinated to hear what you think! Why not also follow me on Twitter and like me on Facebook? I think you are right to consider changing the plan, or rather, 'flexing' your plan for the future. Plans should be flexible - not just to take into account age but also you may need to adapt according to the market or whatever the government throws out via changes in legislation etc. I'm intending to follow my current strategy for the next 4 years and then adopt a slightly less risky strategy, which might include cutting back in the number of funds/shares that I own. What I find enjoyable now, ie tweaking spreadsheets may not be so enjoyable when I get older! As my individual share portfolio is only a small part of my overall portfolio, it's probably easier for me to cut down on the actual numbers, although I envisage owning at least 30 at some point. Thanks for the comment, Weenie! Exactly. The most important thing is that my plan is flexible. Another benefit of this blog is that in 5, 10, 15 years time I can take a look to see how my plan has changed. If I just had it in my head I couldn't really do that! What will be really interesting to see is how to set about getting a nicely diversified ETF/IT portfolio in the future. Personally I prefer ITs more than ETFs. However, ETFs are obviously very appealing! Yes, whether or not other external factors cause me to change my plan remains to be seen. In general, I am of the mind "do as little as possible for as long as possible". For instance, I think it unlikely I will be planning to sell my individual shares before c.60. The shift to IT and ETFs will be at first done by pushing fresh funds in that direction rather than withdrawing it from individual shares. The idea here is that I will be familiar with the IT/ETF world before I start compromising my already existing portfolio. With your less individual share exposure you're already nicely set up for a less risky portfolio. With me, individual shares make up about 90% of my investments (I have about 4-5% in peer to peer loans and ETFs, each). As such, if it stayed that way I would definitely seem to have a risky portfolio for a pensioner! I found it really interesting to think about this whilst writing it. Let's see how it all unfolds! Thanks again for your comments! Really interesting. Conventional wisdom says that you would do 'your age in bonds', which isn't entirely dissimilar to your plan of moving towards more polled investments as you age. I think purely from an aging and potentially declining health perspective, this a really sensible plan. I would however, hope that your health would not decline badly and that you'd still be interested and able to research individual stocks, and be able to pass that knowledge on to your future little ones! Yes, I forgot about that "your age in bonds" advice! Of course, right now is not a great bond time. Although, interestingly I was looking at a corporate bond IT as a potential investment sometime ago. That would fit in both the "conventional" plan and my own! I hope my health does not decline either!! I expect to still be interested in researching individual stocks in the future. I hope also, that my children would be equally interested (and maybe even Miss DD by then!) in such research. If so, my plan would shift somewhat. I may look into some way of forming a trust of sorts which would make it easier for my family to have a role in the management of my investments before I am no longer able to (i.e. through illness or death). This will have to be thought about then. However, in that case I may put any pooled investment on hold unless they were genuinely attractive. It was something I was going to write up in here. But it is too complicated for what this article was looking to achieve! Thanks for your thoughts! Overall, I find it just useful to have the thought process started! Volatility and simplicity are important considerations when building a portfolio strategy. I suppose for me, the thing I would be thinking about most would be which approach is likely to provide the better returns over the next 30 yrs. Individual shares are more volatile than collectives but will they provide a bigger pot than a low cost tracker? How about you add one or two ITs and a low cost Vanguard global tracker to your portfolio and then compare the outcome in say 5 yrs? The good thing is that you have lots of time on your side to develop and adapt your strategy. Exactly! That is the reason I actually hold a few trackers (a FTSE 100, FTSE 250, FTSE All Share and European and American one). I am thinking of adding a couple of ITs for that reason to. Then I can look at all three types side by side. All I have to do is wait to see the result! I was planning to wait 10 years or so before seriously considering whether or not it is time to shift strategy. If I did, of course, all the above would be changed again! I actually cited your recent post on a similar issue (i.e. changing strategy) on one of No More Waffles recent posts (see http://bit.ly/1NPliIL if you're interested). Time is certainly on my side. That is why I am still comfortable having such a large exposure to equities and, in particular, individual shares. We will wait to see what shimmies and sprints in new directions my plan makes over time, however! Thanks for your thoughts! Very interesting indeed. Ah, you are ahead of me...I did not realise you already held a few trackers. The NMW blog looks interesting - don't come across too many from Belgium. Thanks for the mention! Good luck with the portfolio build. I have been meaning to put them on my holdings page but have not yet found the time to as yet! They will be there one day! No, it is the only one I have ever encountered. Interesting perspective! My pleasure, I thought your post was very interesting. It is not a topic that gets discussed much really which is perhaps not very surprising in many ways. Thanks! Slowly but surely it is getting bigger (and hopefully better!). Same to you! Well that's certainly an interesting topic. So if I understand it, you'll continue to invest in stocks yet gradually migrate into a simpler portfolio for retirement? Which sounds entirely reasonable to me and is kind of similar to Warren Buffet and his advice for his wife to just put her money in a low cost index. Your age in bonds is definitely the conventional approach but that also assumes a 4% capital withdrawal each year. I'm not really planning to use this method myself; I'd rather aim to have enough investments that I can live off a 2.5% yield. I call it my "brute force" investment approach although I'm sure there's a more official name for over-saving. And I have to double check my math to make sure it's achievable too! So I'm tending towards the opposite approach; increasing my stock exposure over time and using the funds I own as a safety net for guaranteed income. I'm imagining that management of shares will be quite simple in retirement: I'll be sitting in my rocking chair as the dividends are paid. I think my main question for you is "why not just switch away from individual stocks now in favour of low cost indexes and get the benefits you've mentioned above?" Anyway, thanks for the post - I've not given a whole lot of thought to retirement in that sense. Yes, that is correct. However, for the earlier periods I suspect I will not sell stocks in order to bring about the migration but rather just increase the proportion of my investing funds during that period towards pooled rather than individual investments. For example, focusing (largely) on pooled investments for 1 year each decade. This way I could dedicate my energies and attention to researching pooled investments more specifically to ensure I "know my onions" and thus investing wisely. I am not a fan of bonds, if I am honest. Certainly not at the moment. As you say, it predicates a withdrawal system in retirement. I am likely to drop a corporate bond IT into my portfolio at some point though as they are--of course--quite appealing with regards income. However, I never expect it to be a large proportion. That sounds a good plan to me. Does that mean you will actually target a portfolio yield of say 3% or 4% in order to provide a buffer for your 2.5% "living yield"? That would also take a little pressure off your maths as well! Then I assume the "excess" yield with be reinvested providing a growing buffer over time? That is very interesting. So you are shifting from funds/ITs to individual stocks. I think that is a good idea. I think if you're willing to do the research into the investments properly it is likely to be more lucrative. However, clearly ETFs/ITs require less (though how much I am not so sure!) research! In reply to your specific question. The chief reasons I would not shift to ETFs/ITs at this stage is because I believe (at the moment) individual shares are better over the long time scale I am dealing with. They incur no annual fees, you can target value" and can tailor your portfolio according to your own tastes. Most of the benefits listed above are only really serious benefits for me in retirement with specific conditions (which may not occur!). Currently the benefits balance is in favour of individual stock holding. In reality, I would much prefer to keep my portfolio as individual stocks. I hope to educate my children in investing from an early age so that they will be level-headed in handling individual stock investments when older. If I succeed in that then I would most likely retain my individual stock bias. After all, if my portfolio is highly diversified by retirement (just due to accumulation of age) then much of the volatility argument will be mitigated somewhat. What is more, I know that my family would be comfortable and capable in handling a slightly more unwieldy and idiosyncratic portfolio. Of course, as it stands, if I fail then it will trigger this more defensive and "family friendly" retirement plan! Thanks for your thoughts. They are very interesting indeed. I may well work on an updated version of this post to include the various thoughts and ideas raised in the comments I have been given. They are really very interesting indeed! Thank you for continuing our brief discussion with such a great post. It's an important topic that not many people talk about. While I believe stocks are the way to go for wealth accumulation early on, there's something holding me back to remain invested in single companies when I pass my fifties or sixties. Because our time frame shifts, I'd prefer to reduce the volatility and risk the stock market provides. That's why I'll probably slowly move my portfolio towards fixed income, bonds, and pooled investments like ETFs. Of course, I hope doing all of that without selling off my dividend stocks. They'll continue to be the backbone of my portfolio. You touched upon your family - very good point. I sometimes wonder what would happen to my portfolio after I'm gone. Nobody in my family has the knowledge or tools to make an informed decision on its future. The principle behind dividend stocks is easy to grasp, but choosing the right companies remains a lot more difficult than simply buying a broad index fund. I believe you're doing your family members a favour by slowly converting towards funds and trusts. M already mentioned the "age in percentage of bonds" adage before, and I think that's a very good idea for many investors. While I won't be going into bonds or other sources of guaranteed income at the moment, I most likely will in the future. It sounds like your ideas are much the same as mine! I agree I would like individual stocks to remain an important element of my portfolio for some time. However, a shift to less volatile ways of investing would be welcomed. Hence the slow shift towards pooled investments. The idea is that I should not have to sell much--if anything--of my individual holdings. However, when my 60s comes I will start to think about doing just that. Selling some of my individual holdings and shifting to mutual/pooled investment vehicles. As I say, if my family turn out to be interested and savvy in their investing knowledge I may retain a larger proportion of individual holdings. We will see. It would be a decision/choice I would make after having a discussion with them about it. Ultimately, it is what they (and me) will be comfortable with in the long run. I am unsure about bonds at the moment. As I start increasing my pooled investment holdings over time I will start to think about bonds a bit more. Currently, other than corporate bonds, they looks very, very unappealing both in the short and long term. No doubt sometime during our investing future they will be much more attractive and represent great opportunities! Then I may change my tune! Thanks for dropping by and giving us your thoughts. As I say, I may try and update this post sometime soon with some additional thoughts these comments have brought about! Watch this space! I think your point about simplicity for your family is really well made. Mrs FIUK isn't really interested in investing, so I may look to move to more IT / ETF basis in the future. A great opportunity will come when I transfer my company pension into my SIPP (Can't do this now as company match my 7% in their scheme, so I would lose this if I moved the money now. The Vanguard funds always seem to get good reviews as they are particularly low cost. Yes, it is quite high of my thoughts over the long term. Miss DD is not really very interested in investing at the moment. However, if she does, I can already sense it would be ITs which are most suitable to her personality. As such, this scheme would still work rather well. I am hoping, as I suggest above, that if we do have Baby DDs we would bring them up to be investing savvy. If that is the case, I would consider a system which involved me not shifting the portfolio so dramatically to pooled investments. Instead, I would probably keep more individual companies and consider something along the lines of a private "trust" in which the family maintained it together with the beneficiaries being a mix of Miss DD and the various Baby DDs. Obviously this is all conjecture and guessing at this stage. I definitely think that ITs are the best way to go if you plan to live off dividends. Some of the best are as near to perfect dividend investments as you could imagine (though, of course, there are no perfect dividend investments as we all know). I want to research into ETFs as long-term dividend investments a bit more really. Yes, I need to get my head around SIPPs. As it stands, it makes little sense for me to set up a SIPP. I gain more from ISAs as well as it being more flexible and don't look like to max out my allowance at the moment. You definitely don't want to lose the 7% match, however. When you have more control over the pension it will be a very good thing! Retirement Investing Today wrote something on this yesterday which I have not, yet, had time to read thoroughly (see http://bit.ly/1E6ulNQ). May be of interest if you have not already seen it. I agree. Vanguard do seem good. I personally use HSBC ETFs for the little exposure I have of this kind. They also are very cheap with the added benefit that I get some of my fees back in the form of dividends paid from the HSBC investment itself (joined up investing, hey?). Barclays (BARC) to Cut Dividend by nearly 55% in 2016 and 2017 - What To Do Now?